The Hunter Valley Set was written by James Garner of Sydney to commemorate the 10th anniversary of the Newcastle Irish Set Dancers in November 2009. 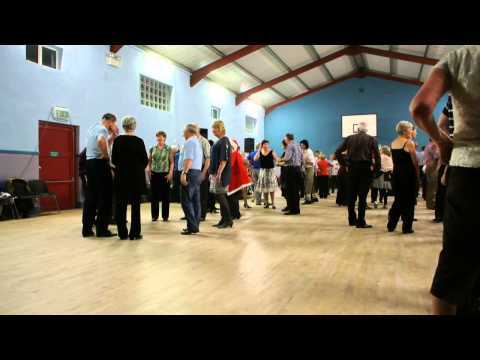 The Newcastle Irish Set Dancers are part of the Newcastle and Hunter Valley Folk Club and its members have been involved with the various dance traditions of the Newcastle region. Newcastle, a dance published by Playford in 1651, provided inspiration for an element of the second figure. The Australian folk dance Love ‘Em and Leave ‘Em, written by Noreen Grunseit in 1983. provided inspiration for an element of the fifth figure. First side couple are on the left of first top couple. All swings are in waltz hold. Notes by Pat Murphy. Reproduced with permission from Mr Murphy and Mr Garner. Full set. Plus extra, you’ll need to FF through past the beginning but don’t miss the instructions before each set. In this progressive figure, the ladies remain either top or side ladies at the start of each of the four iterations, while the gents progress around the set. Top or side refers to those dancers currently in those places.